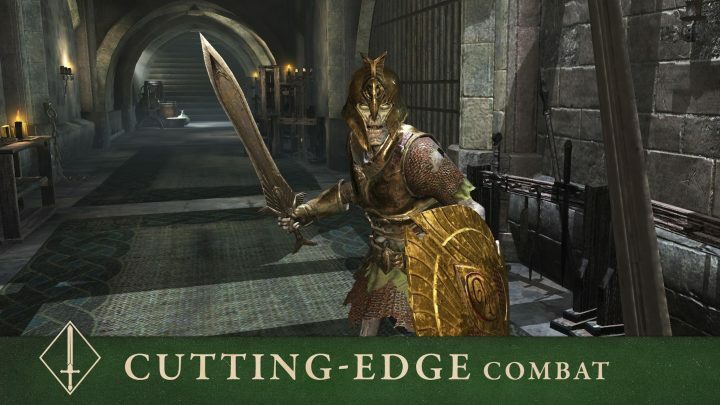 To properly upgrade your bustling town in Elder Scrolls: Blades, the new F2P RPG on iOS and Android, you’re going to need a steady supply of stuff. To upgrade your various buildings, you’ll need to collect tons of wood and limestone. On top of that, you’ll also need gold to keep your gear repaired and XP to unlock new abilities. You’re going to need more and more stuff, and there’s one handy method you can use for endless items. Normally, you can’t easy farm for gear in Elder Scrolls: Blades due to a simple limitation — silver chests clog up your ‘chest’ inventory. Yes, you can only hold a certain amount of chests, and Silver / Gold / Legendary chests require a waiting period before they can be opened. Wood Chests, the lowest level chests, can be opened instantly without spending coins. The stuff isn’t as good, but you don’t have to wait. This method is all about using wooden chests to keep the good times rolling. Check out the full guide below. In Elder Scrolls: Blades, you’re limited to a certain amount of chests. You’ll find tons of silver chests as you play, and each silver chest takes a bunch of time to unlock. If you’re sick of waiting around and just need basic materials like stone, and wood, then this method will help you. The method is incredibly simple. Before you begin, you’ll need at least one open slot in your chest inventory. Open gold / silver chests during extended AFK time, or when you’re sleeping. Prerequisite: Leave one open chest inventory slot. You’ll need at least one! It’s okay to have more, but you don’t want to clog your inventory with gold / silver chests that can’t be opened instantly. To farm for wood, stone, gold, XP, and even bronze: Simply spam jobs. Complete as many jobs as you can. Focus completely on jobs. Each job has two wooden chests in the quest area. At the end, you’ll earn a silver / gold chest. Most likely, you’ll get silver. The trick is to fill your inventory with chests — open one wooden chest, then hit the maximum chests when you collect the second chest. At the maximum, you can choose to discard the silver chest you’re awarded at the end. You’ll get gold / XP from defeating enemies. NOTE: Fill your chest inventory with a handful of wooden chests. You can open these instantly, so as long as you have multiple, you’ll be able to clear space. Try to keep a few unopened wood chests! If you don’t fill your chest inventory with timer chests, you’ll be able to play jobs endlessly in a single session. Just keep spamming those jobs, grabbing chests, opening one wooden chest, and filling your inventory. Unfortunately, you may miss gold chests. Randomly, jobs will reward gold chests. It’s very rare, but it does happen. You’ll just have to accept the loss if you’re using this method.